All purpose clear office tape. Crystal clear with a glossy finish. Sticks well and has a smooth cut and flow when used with tape dispensers or by hand. Available in 33m and 66m in a variety of tape widths to suit individual requirements. Each roll is individually wrapped. 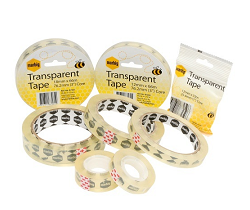 All-purpose clear office tape... Recommended for value ! 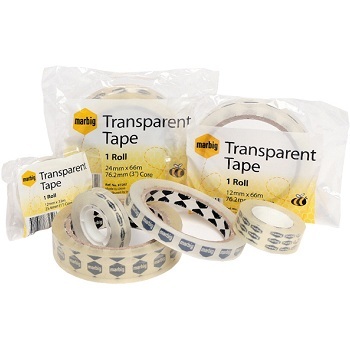 Crystal clear tape with a glossy finish. Pack - Individually wrapped roll. Most popular large size - Ideal for large dispensers.